How can I change my page skin / background? Click on the Change Skin link located at the top-right corner of the page. This should open the 'Change Skin Pane' as shown below. Click on your chosen skin thumbshot or colour box to change the page skin. When finished, close the 'Change Skin Pane' options by clicking on the 'Change Skin' or 'Close' link . You can personalize your ZealDeal page skin image or colour as often as you like. Note: when accessed from ipads, tablet PCs, iphones, smartphones and similar devices, ZealDeal may load a slightly lighter version of ZealDeal with some optional items like 'Change Skin' removed from the page (This helps a faster initial loading when coming to ZealDeal for the very first time). In such a case, simply click on the 'Extended Page' link to see the 'Change Skin' options. A QR Code, also known as Quick Response code, is conceptually similar to a barcode that contains information which can be read (scanned) by a suitable device. While barcodes are found in product labels and usually scanned at shopping tills, QR Codes can be read (scanned) with almost any smart phone with a camera and a QR-Code reader app installed. As a result, QR Codes are quickly becoming popular amongst smart phone users. 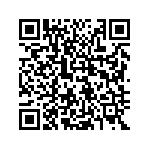 Free QR Code reader apps are available for all popular smart phones and it usually takes seconds to install. QR Codes have a distinguishing rectangular shape (see the picture on the right) and can contain wide range of information. As for example, a QR-Code can be used to distribute information about an event or concert, contact details (contact card), product information, web site details and more. Currently, in the UK, QR Codes are mostly used by manufacturers, retailers, media and advertising companies, government agencies in conventional media form (promotional materials, billboards, news papers etc.). ZealDeal is first in the sector to implement QR Code as a feature in live web services. How can I contact ZealDeal? Please use the 'Contact us' link located at the bottom section of our site. I just signed-up but have not received any confirmation E-Mail. What should I do? We send all confirmation E-Mails immediately; but at busy times it may take a little longer to reach you. Please wait a few minutes. Try to remember whether you entered your email correctly. If in doubt, try signing up again using your correct E-Mail our system should detect if you used your correct E-Mail on previous attempt. Check your 'Junk' folder. Depending on your settings, some email softwares automatically send all new (or unknown) emails to 'Junk' folder. If this is the case, mark our E-Mail as 'Not Junk' so that you can receive our emails and discount updates with out any problem. We are a Merchant. How can we submit our deals, discount codes, vouchers or promotions to ZealDeal? We have a number of services, APIs designed for merchants and online retailers. We also accept Discount Codes, Voucher Codes, Special Offers, Hot Deals UK and similar money saving promotions directly from merchants or their agents. Please contact us for further details.